Autism’s symptoms often include difficulty processing sensory information such as textures, sounds, smells, tastes, brightness and movement. These difficulties can make ordinary situations feel overwhelming. As such, they can interfere with daily function and even isolate individuals and their families. Studies have backed up parent reports that Sensory Integration therapy improves daily function in children with autism*. Sensory integration is the ability to capture information through the senses and meaningfully process that data in the mind. Some children need sensory integration therapy because they have a dysfunctional sensory integration system, where one or more of the senses over- or under-react to environment stimuli. - sensory integration from both the point of view of a parent and professional. - how early intervention can make a big difference in socialization and in school. - the pros and cons of drug interventions. Rowena Sison Sigler is a graduate of Bachelor of Science in Physical Therapy from Fatima College in the Philippines. She is licensed to practice Physical Therapy in the state of New York where she assisted patients in workers compensation and sports medicine. She worked as the interim director of rehabilitation department of a nursing home in Brooklyn; and later as an adviser for a school in Queens, creating individualized educational programs (IEPs) for preschool children, in partnership with SPED teachers and parents. 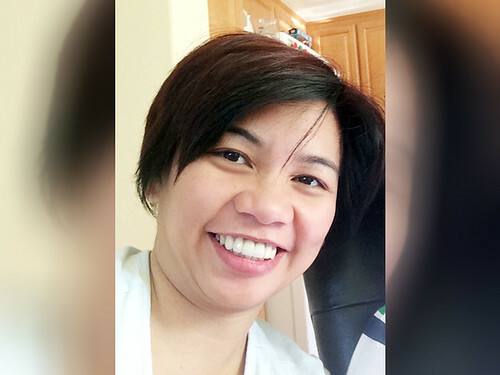 Rowena is a member of the American Physical Therapist Association and currently works in intensive and cardiac critical care in Fremont, California. She is a mom to a high functioning autistic child and continues to be his advocate and fan, as he overcomes his challenges. Pre-registered participants may pay to Autism Society Philippines, Metro Bank, Kamias Branch Account Number 047-3-04751874-2. Please fax the deposit slip with the name/s of participant/s to ASP office and bring it on the day of the seminar. On-site registrants will be accepted depending on the availability of slots. There will only be 50 slots available. No refund will be given to participants who did not show up on the date of the seminar. For more details, please call ASP at 02-926-6941 or 02-929-8447.